Beautiful NEW DETACHED VILLA loaded w/ outstanding features. 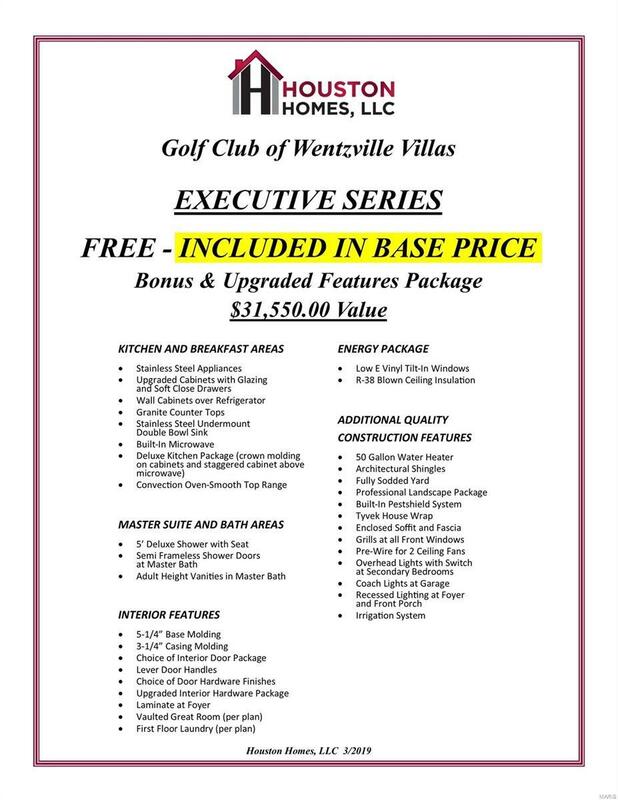 Executive Series Bonus Pkg. INCLUDES: Granite kitchen counters, full sod yard w/professional landscape pkg, partial brick front, lawn irrigation system, 10 yr foundation leakage warranty, architectural shingles, vault in Great Room, upgraded hardware / trim pkg, stainless steel energy star appliances (incl. 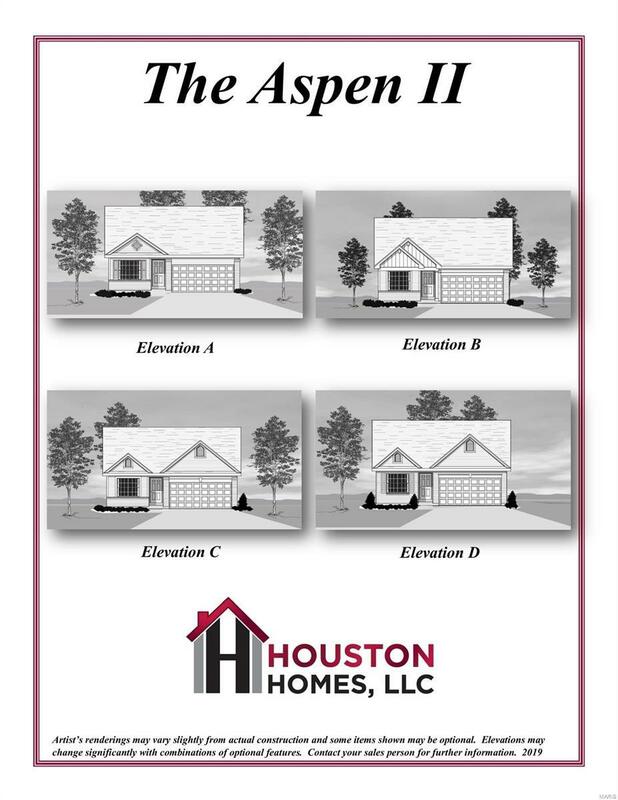 built in micro., dishwasher & smooth top range), pestshield system, Jeld-Wen tilt in windows, adult height vanity in Master Bath, deluxe shower w/ seat in Master Bath, enclosed soffit/fascia, soft close cabinets, 50 gallon water heater, upgraded insulation, aggregate driveway, FREE 1 YR single golf club membership & more! 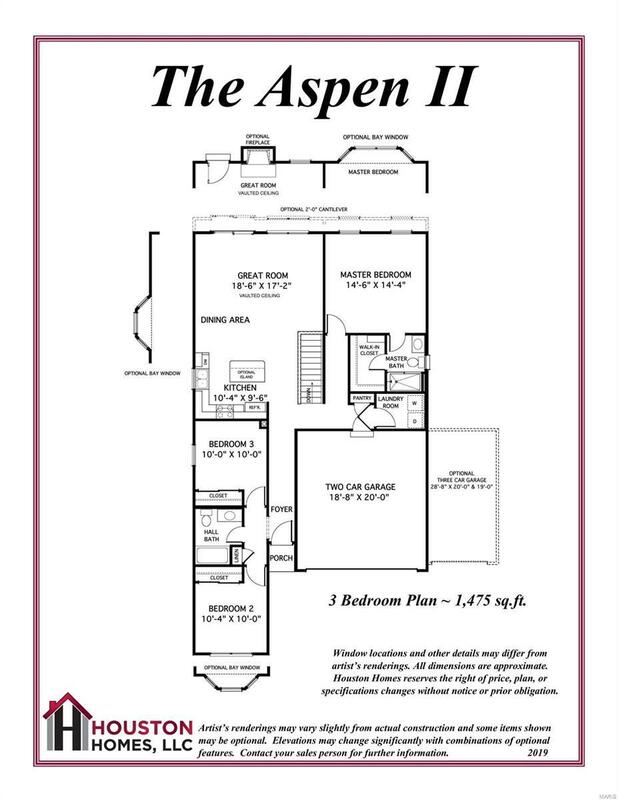 The Aspen II features 1475 sq ft, 3 bedrooms, 2 baths, ranch style w/ open floor plan, & main floor laundry. The monthly fee covers lawn, landscape, irrigation, exterior maint, snow removal & some insurance (per restrictions). Pick your colors & lot! 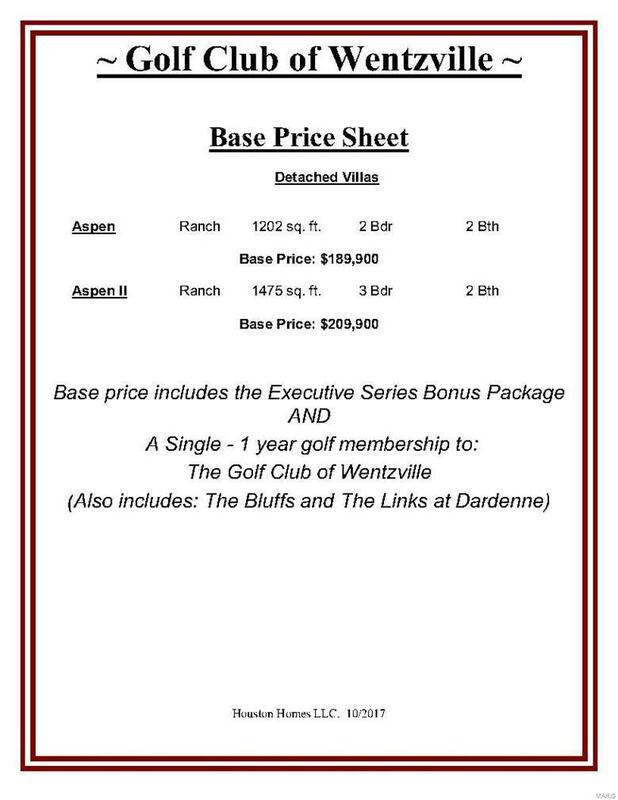 Subdivision pool, walking trails & 18 hole course. Listing provided courtesy of Real Living Now. Listing information © 2019 Mid America Regional Information Systems, Inc.